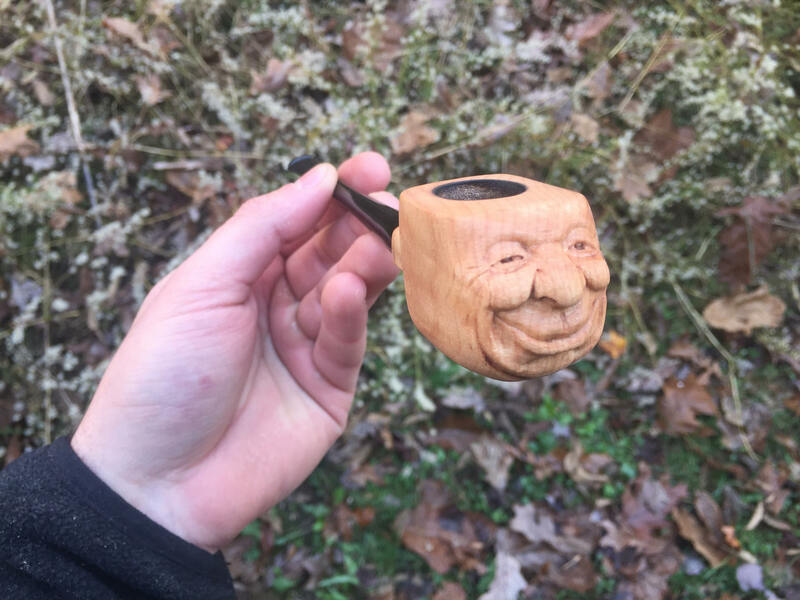 This is a tobacco pipe with a happy face carved into it. I made this piece from a raw block of Curly Maple wood. This tobacco pipe is 7 3/4” long total.. 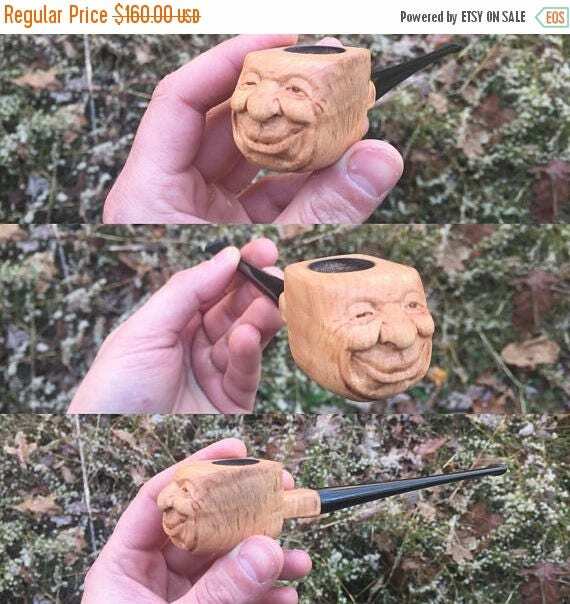 The wooden part of the pipe is 2 3/4” long. 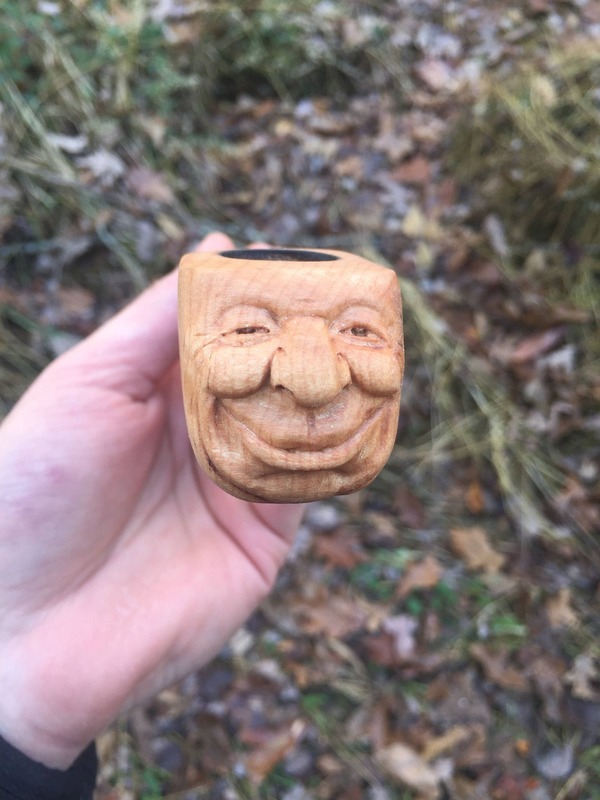 The face is 1 3/8” tall x 1 3/8” wide. 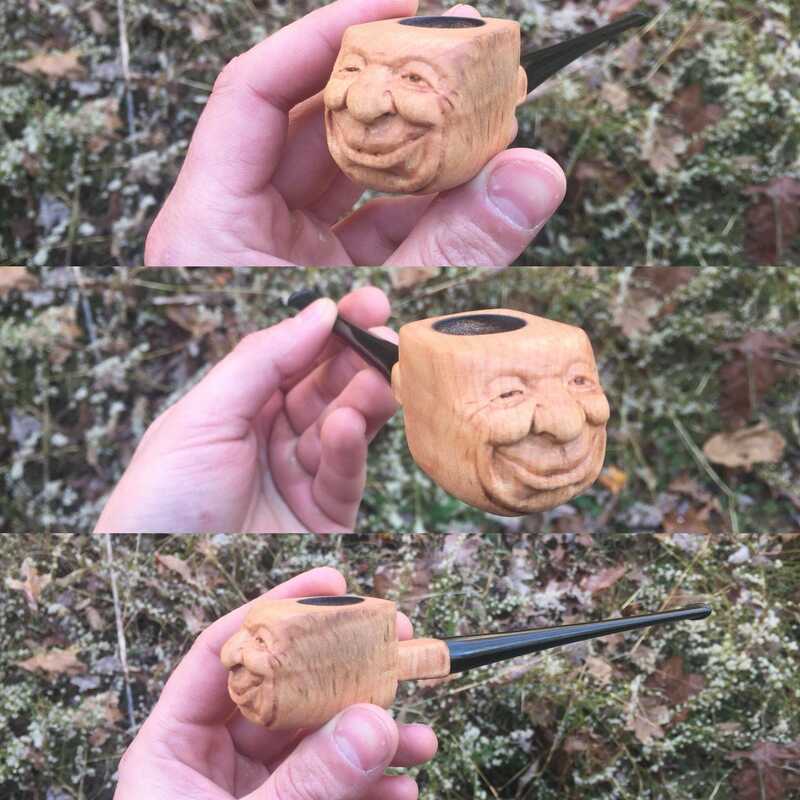 I carved this pipe using several tools. I began with a block of beautiful Curly Maple wood. I drilled it out, sanded and then began carving. I carve using various rotary bits and grinders. 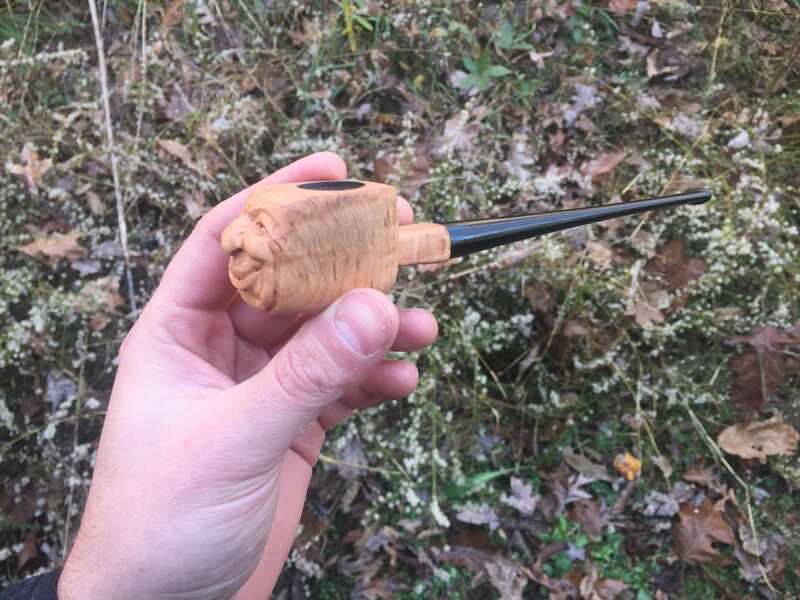 I finished this tobacco pipe with mineral oil. I torched the inside of the chamber to season the wood just a bit. This pipe is brand new and has never been used! I carve everyday for a living. It’s what I love to do! I’m so grateful to be able to do what I love for a living! Please, feel free to contact me with any questions. I’ll be happy to discuss a custom piece made just for you.